STARBUCKS & BISCOTTI IV: FILLING UP FOR SUMMER! 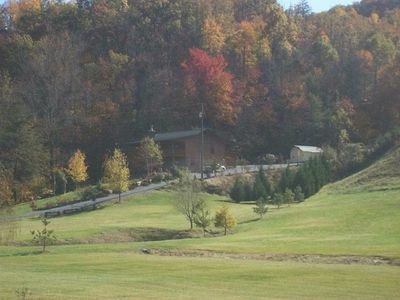 JOIN US IN THE MOUNTAINS! 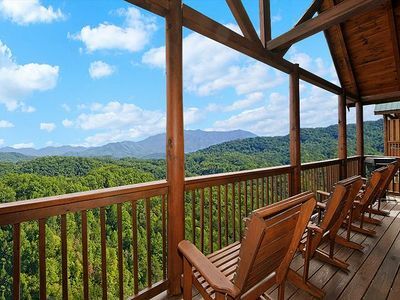 Welcome to Starbucks and Biscotti IV where the views of the Smokies are breathtaking and completely unobstructed. Whether you are on one of the decks or preparing lunch in the kitchen, the amazing views are endless! 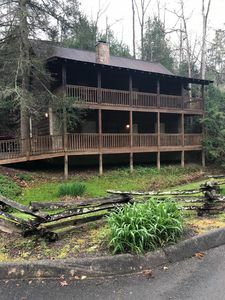 We are located 1 and 1/2 miles from The Parkway, the main thoroughfare, conveniently leading you to The Great Smoky Mountains National Park, Pigeon Forge, Gatlinburg, and Sevierville attractions. 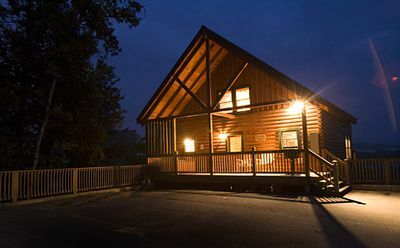 When you enter our cabin you will immediately feel the warmth of the imported wood floors throughout the entire cabin, the massive logs, and the floor to ceiling brick fireplace. 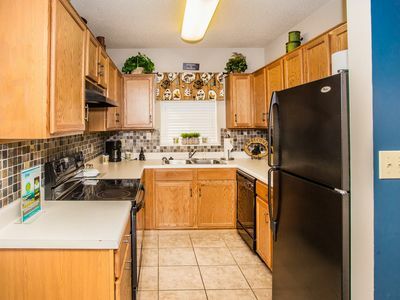 To your left you will notice a well appointed kitchen with African ivory granite and stainless steel appliances. 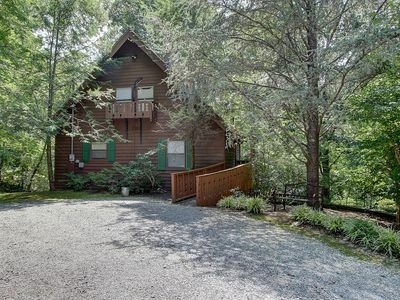 On that main floor you will also find one of the 4 bedrooms with a king-sized bed, full bathroom, a dining area, and a 60' television right above the fireplace. 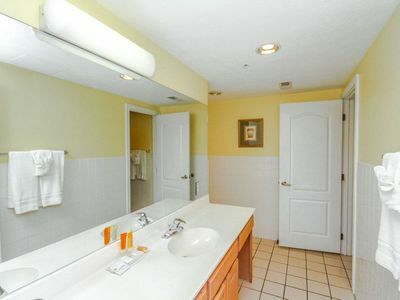 If you head upstairs you'll see the game room area with a full-sized pool table and a master suite. 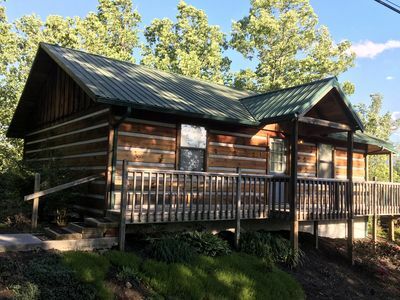 The master suite has a gas fireplace right next to the bed, a sitting area, whirlpool tub, king-sized bed, and an en suite full bathroom. 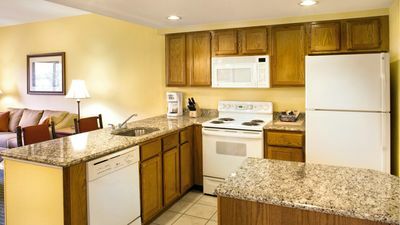 Downstairs you'll find two additional bedrooms with queen sized beds. 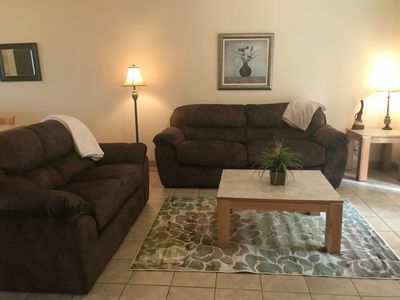 In the gathering area downstairs you'll also find a queen sized sofa sleeper, a large bathroom and additional media area with a big screen television. 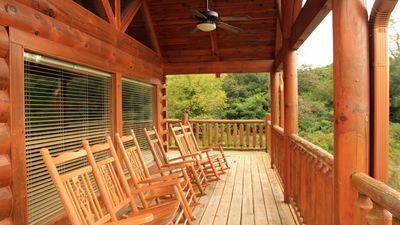 The outdoor space at Starbucks and Biscotti IV sets us apart from other cabins. 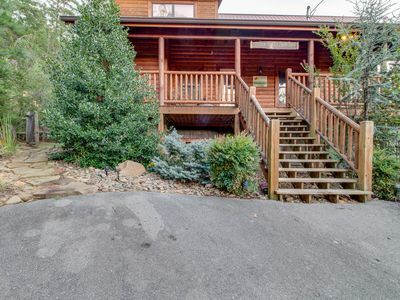 On the main floor you'll find a wrap around porch with a gas grill, rocking chairs, side tables, and a private hot tub with amazing mountain views. 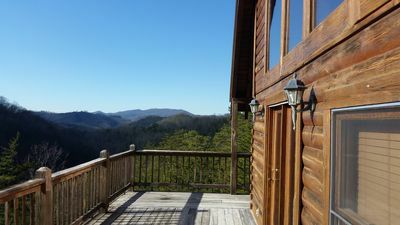 The deck on the lower level offers another large outdoor area with additional rocking chairs and even more fantastic views. 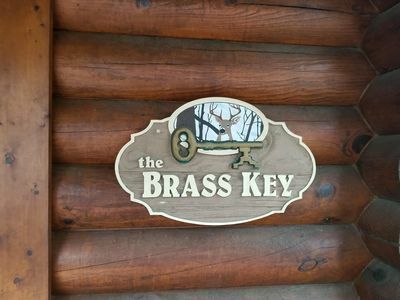 Other amenities at our cabin include high speed wireless internet, a washer and dryer, 4 flat, level parking spaces, and 6 flat screen tvs. 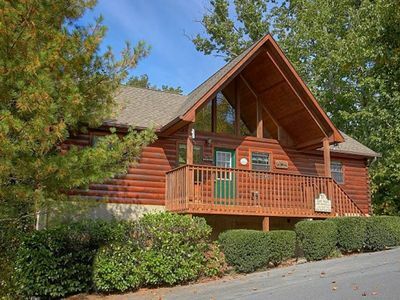 Our cabin is located in Sherwood Forest, a private gated community. 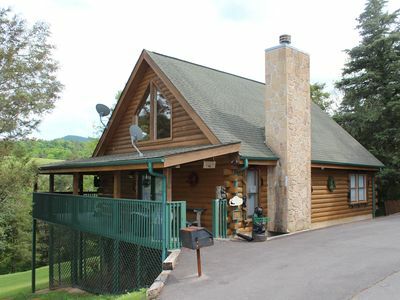 You will have access to a huge community pool which is 1 minute from the cabin. 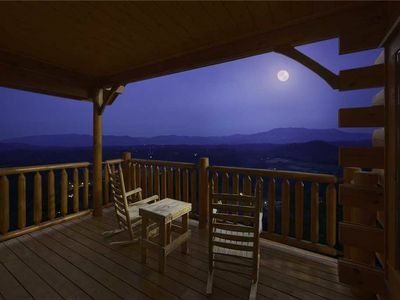 "Heavenly Getaway" is the perfect retreat to relax and unwind when visiting the Pigeon Forge area. 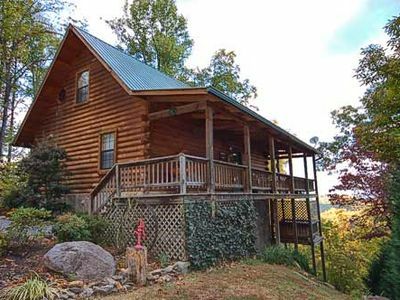 FOUR BR/THREE BATH, CLOSE TO THE PARKWAY! 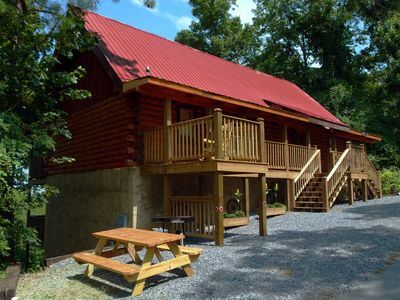 CHECK OUT OUR GREAT RATES! 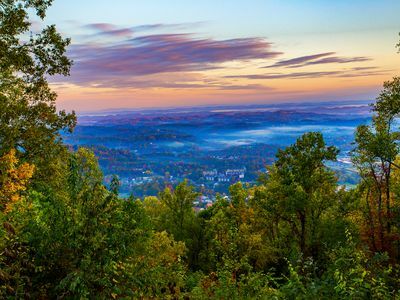 Breathtaking 100 Mile Mountain/City Views-5 Mins. 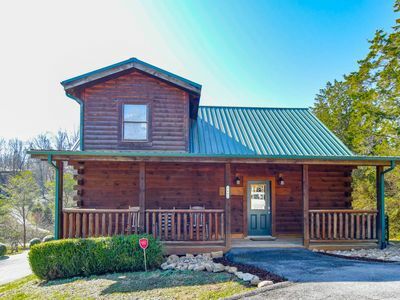 to Pkwy in Pigeon Forge!